Haste! 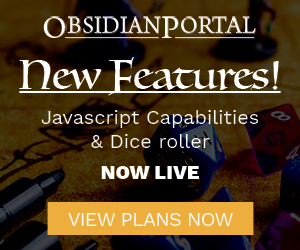 Tabletop Audio, Romance In Games, Ley Lines Midgard Fiction Contest & More! We’re back from Winter Fantasy! Unfortunately we were unable to have the Baldman crew on the show due to technical difficulties. We recorded one heck of a podcast…and then lost it! They will be on the show in the future though so stay tuned and let’s jump into the episode! Oh, also we’re working on the file upload stretch goal, it will take a little while, but it’s coming!